Faith and Freedom Daily: Voter Fraud-- A Plank In The Progressive Platform? Voter Fraud-- A Plank In The Progressive Platform? When President Trump announced his Voter Fraud Commission, newspapers across the country ripped the president---on the 4th of July--accusing him of "cracking down on a virtually non-existent problem." The NYT said sarcastically, "If the paranoid voter-fraud crusaders devoted a fraction of their inquisitorial energy to solving that vexing problem, now that would be something to celebrate." The Washington Post made it a racial matter, while other lesser light papers followed their lead. And this was before the Commission met last week. You should hear them now. It's as though a plank is being ripped from their philosophical platform. On May 11, 2017, President Trump signed an Executive Order establishing the Presidential Advisory Commission on Election Integrity. Vice President Mike Pence chairs the commission and Kansas Secretary of State Kris Kobach serves as the vice-chair. Before the Commission had even met, on the 4th of July, The New York Times said, "As the nation marks 241 years of independence, the most pressing voting issue should be getting those tens of millions of nonparticipating Americans registered and to the polls, so that their voices can be heard." Adding, "If the paranoid voter-fraud crusaders devoted a fraction of their inquisitorial energy to solving that vexing problem, now that would be something to celebrate." The Chicago Sun Times said the Commission was nothing more than a political tool "looking for any scrap of information that might support Trump's unfounded claim that millions of people illegally cast ballots in 2016." 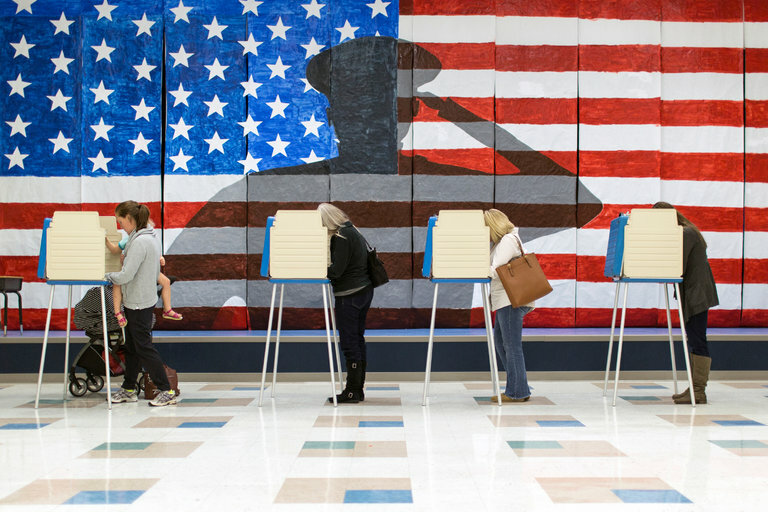 USA Today played the Russia card and said, "In probing potential illegal voting, the president is failing to address a greater threat to American election integrity; Russian meddling." The Washington Post, as mentioned above, played the race card reviewing Frederick Douglass's 1852 speech in which he said the 4th of July does not have the same meaning to African-Americans as it did to white Americans. All this before the Commission had met. Now the progressive attack has broadened and turned its focus on the actual members of the Commission. Robert Knight, a senior fellow at the conservative American Civil Rights Union (ACRU), says, "They're fearful that these election experts are actually going to do the job they've been given---uncovering the extent to which the nation's voter rolls are vulnerable to fraudulent activity." Knight quotes Jonathan Alter, an analyst at MSNBC and Daily Beast columnist: "This is such a threat to democracy, this commission, this voter suppression commission." Samantha Bee, whose crudely named "Full Frontal" videos on TBS are a mockery to all things decent, added in an 8-minute rant on NBC's news channel that "Vice-chairman Kris Kobach was a Klansman, panelist J. Christian Adams is a garden variety racist, and panelist Hans von Spakovsky is an evil conniver." Here's what she and the other progressive pilgrims won't tell the public. "I come at this issue of election integrity from a very personal history. My German mother grew up in Nazi Germany as a child. My Russian father fought and escaped communism twice. They met in a displaced persons camp in Europe, after the end of World War II, before immigrating to the United States." He said, "My childhood was filled with stories of what it's like living in a dictatorship ---and we were taught as children that the right to vote is a very precious right, its one that can be easily lost, and that it was our duty to always vote and participate in the democratic process." He sure doesn't sound like a "paranoid voter-fraud crusader" to me. He sounds like millions of other citizens whose family fled dictatorships and oppression, and legally---legally, came to America and became citizens. Lorena O"Neil, over at the Hollywood Reporter, republished Samantha Bee's lie writing, "Kobach, Adams and Spakovsky have been chipping away at the Voting Rights Act since the moment LBJ signed it," adding that Trump has now "handed them the keys to the candy shop so they can run in and purge all the chocolates." "Chocolates" of course, a reference to African-Americans. Progressives have no shame when it comes to revising history, "fundamentally changing America," and using other people as tools while claiming to represent them. They loathe scrutiny and honorable men and women who reveal the truth. A letter last week sent out by the commission's vice chair Kobach, requested that states provide all information requested by the commission to help in identifying voter fraud. It was met with defiance. More than half the country's secretaries of state have either declined to provide all the info or flatly refused to help at all. There is no question there is voter fraud. The question is how much? A case in point is Broward County, Florida which had 106% of its population registered to vote in 2010 and 103% registered in 2014. Knight's group, the American Civil Rights Union, has filed a suit against Broward over its "dirty voter rolls." The suit will be heard in the US District Court for Southern Florida in Miami. Across from the White House, a mob of protesters organized by the ACLU threw a collective fit during the commission's meeting the other day. They were chanting, "Respect My Vote, Respect My Vote." Apparently, they failed to see the irony in their tantrum. They are disrespecting our election system by their very demands---while turning a blind eye to those who are actually disrespecting that system. In January of this year, ABC News, along with most other news organizations, slammed President Trump for saying he believed there is extensive voter fraud. ABC said this: "An ABC fact-check found the claim about serious voter fraud to be false." If there is no serious voter fraud, why are the far left progressives protesting so much about investigating something that doesn't exist? Is the wailing about this investigation the sounds of removing a plank from the progressive platform-- a plank that is desperately needed to advance their agenda? Shakespeare, in Hamlet (Act III, scene II), wrote, "The lady doth protest too much me thinks..."
I'm also reminded of the ancient biblical Proverb (18:1), "The wicked flee when no man pursueth: but the righteous are bold as a lion." One thing is certain. With the expertise and commitment of those who chair and serve on this commission, we will get a pretty accurate assessment of the integrity of our voting system. Voter fraud is the problem, not the Russians. Hillary started the red-herring witch-hunt by accusing Candidate Trump of collusion with Russia. True to form for Leftist Activists, Hillary was "projecting" on Trump what she and her team had attempted to do. America should call for an investigation into the corrupt Clinton Campaign, who was proven to have stolen the nomination from Bernie, and who likely also tried to corrupt the election using Russia and any other aids, including voter fraud. Voter-fraud "deniers" are truly afraid that millions of fraudent votes will be revealed, and the beneficiars will be the same group who argue that identification should not be required to allow voters to cast a ballot at the poles. Remember, Obamma encouraged illegal aliens to vote before the election by openly stating that "they will never be able to tell you did so". When God wants the truth revealed, there is no power that can stop His will.We can pray for the truth to be revealed through the power of the Holy Spirit. Man cannot fix this country, but God can. Pray, Pray, Pray, and then Pray.